Easy there, Christmas. Slow your dinner roll. There's still another holiday before we unwrap you. 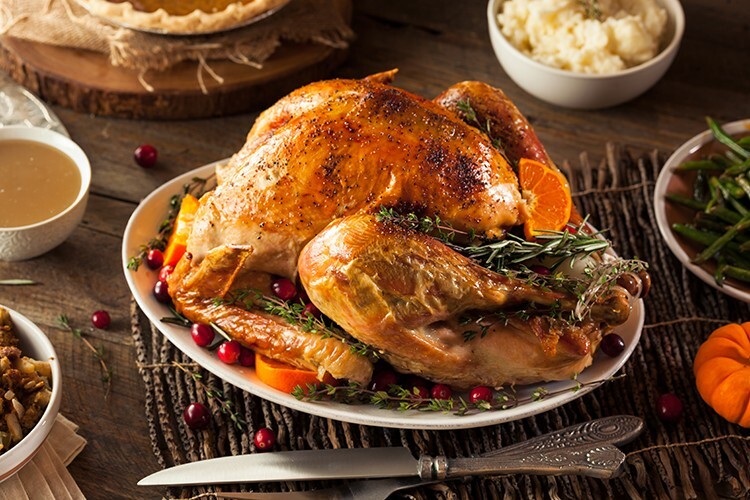 Here are some Thanksgiving day events where you can break bread without breaking your stride, join in warm community camaraderie and send our fishing folks off for a safe and bountiful season. In Arcata, grab your dinner plates and utensils and join your neighbors for the Community Thanksgiving on Thursday, Nov. 23 from 11 a.m. to 2 p.m. at Arcata Community Center (free). And in Southern Humboldt, all are welcome at the Mateel Community Center for the Garberville Veterans Association's Thanksgiving Day Meal starting at noon — or come at 8 a.m. if you'd like to volunteer (free). Every year for the last 22 years, community members have gathered on Thanksgiving at the Trinidad Memorial Lighthouse in town for the Trinidad Blessing of the Fleet. Warm drinks and warm wishes for a safe journey out to sea are on hand at this event, happening Thursday, Nov. 23 from 10 to 11:30 a.m. (free). There's a traditional Native blessing as well as music from the Redwood Ramblers and a student art display hanging along the fence at Trinidad Bay Bed and Breakfast. If it rains, head to Town Hall. Nothing raises your gratitude level like time spent in nature. Layer up and meet your fellow nature lovers/walkers on the porch of the Arcata Marsh and Wildlife Sanctuary Interpretive Center for the annual Thanksgiving Day Walk on Thursday, Nov. 23 at 10 a.m. (free).